The responsibility of a pet owner is, and should be, terrific. When a responsible pet owner found that she was moving to the city and needed to find a Good home for her pets, I stepped up. My readers all know that I relish in the atypical genre of pets and you all know that I won’t bat an eyelash at taking on a potentially orphaned flock. 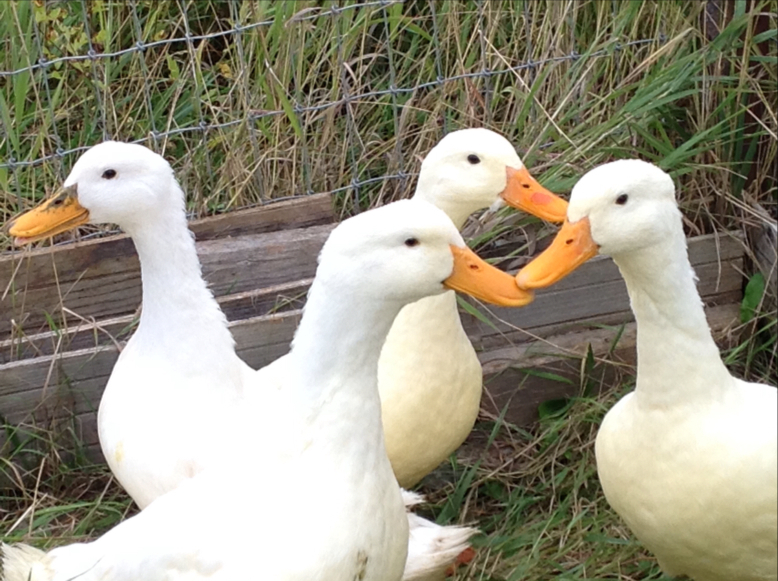 For my new readers this is nothing to quack at, because what harm could four measly ducks cause on a ranch of four hundred mama cows, a dozen or more horses, five dogs, ten chickens, nineteen papa cows, four cats and one pygmy goat? “Nothing to it,” I told the gal. “I’m happy to adopt your ducks. Heck, there is still water flowing in the canal for ‘em,” I added. A short week later she arrived bearing her duck Family. Two facts demand clarification; one, it is mid-October in northern Wyoming and two, I did emphasize the word Family in the last paragraph. Two mama ducks, two daddy ducks and two baby ducks came to splash in our flowing canal. 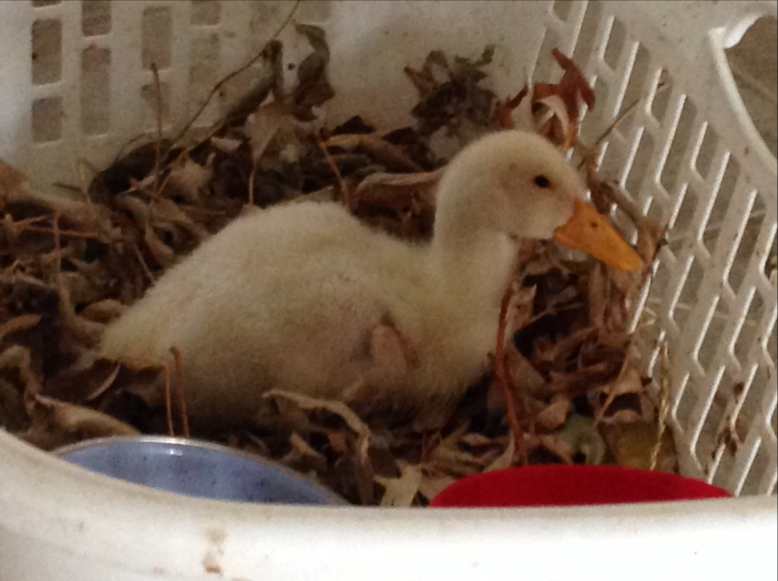 A rather steep learning curve lay ahead for this gal, for I have never reared baby ducks. 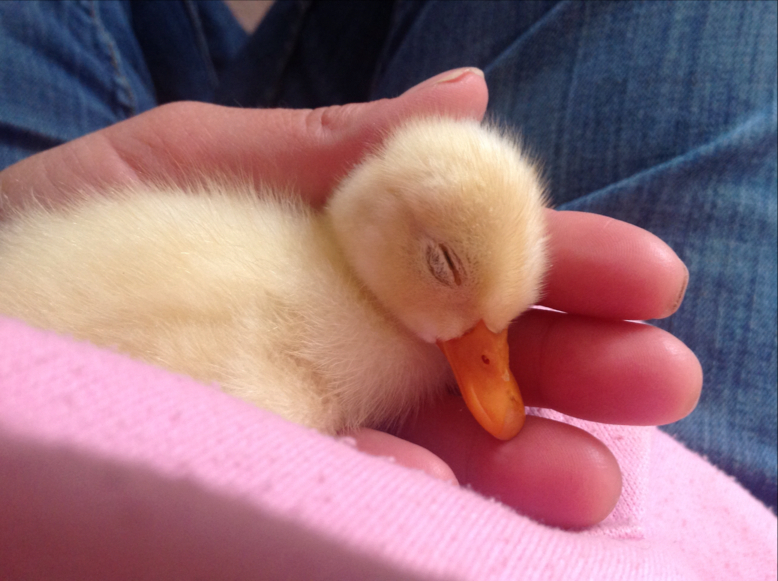 Who else would keep a baby duck warmed by the fire?